Bought this from Sears many years ago (8 to 10) as a CLUB SERIES. It has been the best treadmill I have ever purchased.I have had a HORIZON / NORDIC TRACK & DYACO within the same time as my HEBB. Honestly, they were all a piece of junk compared to the HEBB. Got rid of them and bought a second hand HEBB for my wife. A smaller MODEL #3400-2SR & it's also going strong. She loves it. The LEESON motor in the 7200 is a brute & as long as I regularly lubricate the deck with a LUBE-N-WALK silicon kit, it is still going strong. Have never had a problem. 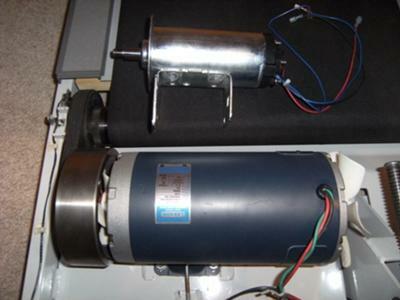 OK, there was a tiny squeak from the motor commutator when it would first start but I pulled a brush, burnished the commutator and gave it a spray with contact cleaner. Squeak gone. That's all that's ever been done to it. I believe HEBB INDUSTRIES from TYLER TEXAS has disappeared (I think bought by NAUTILUS) but a search for them brings up TRIMLINE. Too bad all the well made products built in the US are disappearing and were left with cheap CHINESE X!%*X#. The treadmills starts for 5-10 seconds and stops by itself. What could be the problem? 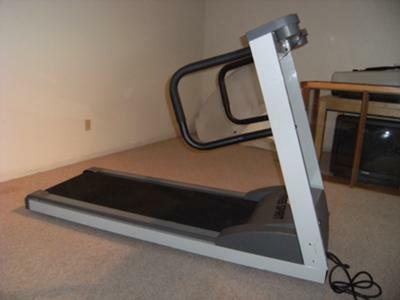 Purchased a Hebb made treadmill in 1998. It was made for SEARS Canada as a FreeSpirit model 308970. It is similar to the Trimline 3600. It's been in use for 13 years by myself, my wife and 2 teenage sons. It has received long workouts over the years and going strong still. The rear back wheel bracket at the rear had the weld break loose recently. My auto repair shop welded it back together for $20 and everything works great once again. Hebb made a great product.